Peli is delighted to celebrate its 20th Anniversary in Europe. 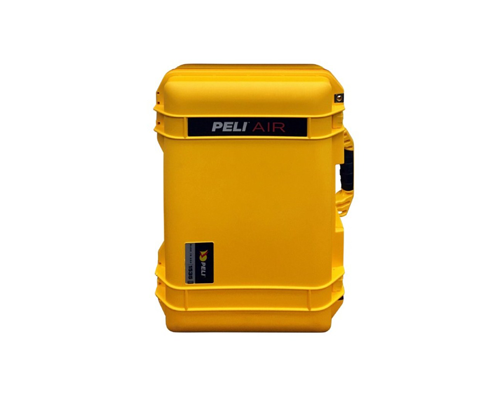 Based in Barcelona, Peli™ Products is the EMEA (Europe, Middle East & Africa) Headquarters of Pelican Products Inc., the global leader in the design and manufacture of high-performance protective cases and advanced portable lighting tools. “During the past 20 years Peli has thrived in serving a diverse group of customers throughout the EMEA region by offering products built to the highest and most demanding standards. When I started the project to drive the expansion of Pelican in Europe, it quickly became clear that Barcelona was the right choice for the EMEA Headquarters. Barcelona had an excellent business infrastructure, high quality facilities that welcomed new businesses, and a port for efficient logistics,” said Scott Ermeti, Senior Vice President of Pelican Products International Business, and founder of the EMEA Branch in Barcelona. “This, coupled with its cosmopolitan, hard-working environment and access to great local and international talent has really helped us to succeed,” he added. “Our expansion strategy drove Peli to become the leader in key markets as diverse as Oil & Gas, Fire & Rescue, Law Enforcement, Military, Aerospace, Petrochemical, Broadcast, Outdoor, just to name few of them,” Ermeti noted. Piero Marigo, Peli Products EMEA Managing Director, added: “Peli has over 90 employees currently working for the EMEA region, from diverse cultures, speaking more than 15 languages and with a solid international background. The company strongly believes that becoming a market leader is not only about producing premium products, but also hiring the most talented people who have a passion not only for the products, but also to develop strategies and innovative solutions for our customers”. Peli Products, an ISO 9001:2008 certified company, has multiple offices in key countries of EMEA; an Advanced Case Solutions Facilities based in the UK - where high-end projects of bespoke solutions are engineered and assembled- and a center in Germany in charge of manufacturing the most popular models of the Peli Protective Cases range. In addition, the company has two warehouses, one in the Netherlands and another in Dubai which was opened in 2015 to optimize customer service, improve delivery times and make smaller shipments economically viable to the Middle East and Africa customers. From high-risk environments; from the depths of caves to the heights of military aircraft, Peli’s products have accompanied professionals who risk their lives every day for the law, the security and safety of others. Peli provides extreme protection cases and safety certified lighting solutions that empower users to thrive in the most decisive missions in their lives, be it for adventure, fun or professional excellence and outstanding sense of duty.